When it comes to computer tower cases, I prefer to have buy one that has a lot of room to upgrade and move around with. Additionally, I usually end up with massive CPU coolers so I need all the room I can get. Generally speaking, the larger the CPU coolers are usually quieter as well. The Cooler Master Elite 430 is my current choice for several reasons, room, price, reviews and no power supply. I always prefer to buy my own power supply to make sure it fits the build demand. Listed below are the most common form factors. Mid Tower ATX - this is by far the most popular case, it has lots of room and will support most motherboards either ATX or mATX. Full Tower ATX - I've never owned one, but I have worked on them, it's great, they have room like no other, it's like a garage with only one shovel in it. Micro ATX Tower - These are the new half sized cases out there, they are great if you really have limited desk space. My current case is pictured below, it's a Mid Tower ATX Coolermaster Centurion. As you can see, I'm fussy about practicality, not looks when it comes to computer tower cases. Picking out computer tower cases is mostly a matter of outside apearance, but I urge you to think about features as well. Make sure you have enough drive bays for what you are installing. Then I look for cooling. I like to have at least 2 120mm fans to make sure things stay nice and cool. The fan pictured below is made by Ultra. TIP! Some cases will come with a power supply and case fans, others will not. When looking for a case be sure and read the description to make sure you know what you're getting. Like the video but want the whole thing, learn how to assemble a computer with your copy on DVD. A computer tower cases options will vary so you may have more or less connections than I'm showing here. Just connect them to your motherboard following the manual that came with your motherboard. This section is broken into two sections, the inside of the computer case, and the connections on the outside of the case. As always, all images are linked to the original size, click on any image for a larger view. TIP! Negative is white. The full color wires are positive. If there is no white wire, black is the negative. Step 1 - Find the case audio connector if it has one. Step 2 - Find the case firewire, or 1394 connector if it has one. Step 3 - Find the case USB connector if it has one. Step 4 - Find all of the case connections. The power led, hard drive led, a power button and a reset switch are the common ones. You may also have a speaker connection. Step 5 - Connect all these wires to your motherboard. The locations will all be listed in your motherboard manual. If you don't have the manual, go to the manufacturer's website to find out where they go. Step 6 - Indentify the fan connectors on the motherboard. 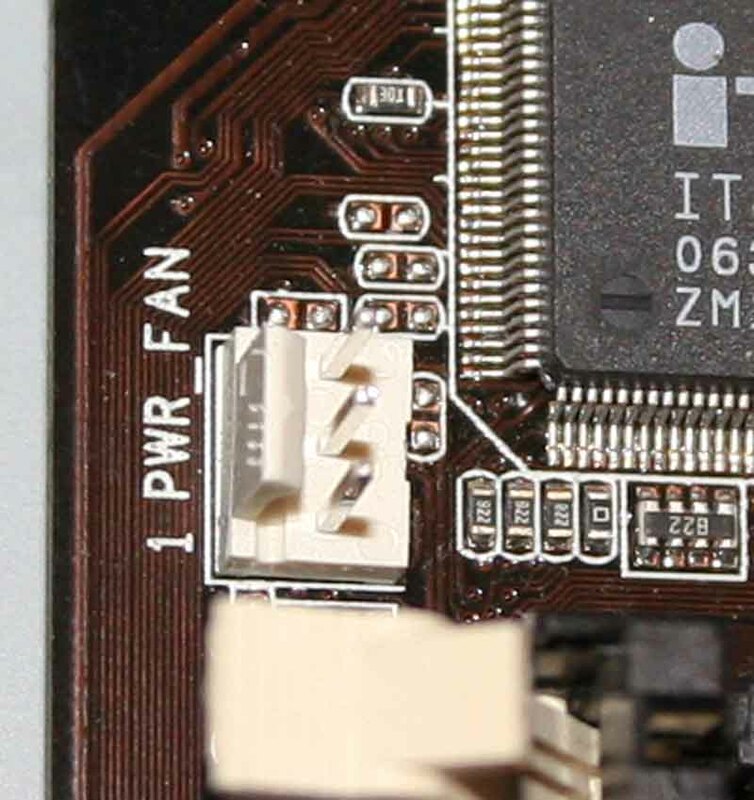 Step 7 - Connect all the case fans to a fan connector on the motherboard. To attach the rear connections on a case, let's take a look at the back of your case. I'll go over all the connections. Attaching your keyboard, mouse, speakers is much easier now than it used to be. The color coding is really nice, especially when connecting a surround since all those connections are exactly the same. Step 1- Connect the power wire, make sure the voltage is set correctly as well. When you've got everything connected, the switch below should be in the 1 position. Step 2 - Connect the keyboard and mouse. If you have a USB keyboard and mouse that's fine, just leave these connectors empty. The purple connection is for the keyboard, the green one is for the mouse. Step 3 - Connect the monitor. You can connect to either unless one is labelled 1 then connect your monitor to that one first. It will have better video capability. Step 4 - Connect your speakers and microphone. Generally, red or pink is the microphone. If you just have two speakers on your desktop, the green connection is for you speakers. If you have a surround that uses the same connection as this, just match up the colors. If they don't have colors, refer to the manual that came with your surround. Step 5 - To connect digital audio, use these connections, the round yellow connection is called SPDIF, the other connection is called optical. Step 6 - USB and LAN connections. Any USB connection can go into any USB connection on your case, same with LAN connections. The two connections on the far right are LAN connections. The four connections on the left are USB. Step 7 - Connect a serial device if you have any to the connection below. Very few electronics use this connection. Step 8 - Devices that move a lot of data, like an external hard drive will plug into either an eSata, or a firewire, sometimes called 1394. The connection on the left is eSata, the one on the right is firewire.